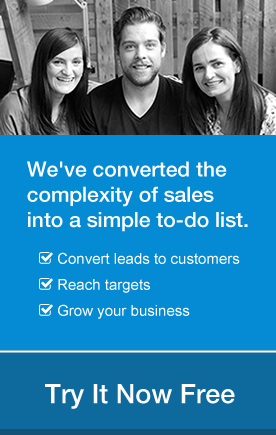 At the core of OnePageCRM application is a focus on Next Actions – that one next move required to move a sale forward. While roughly 90% of sales actions are “day based” we recognize that the remaining 10% need a specific time, like meetings and call requests. So, due to popular demand (“It’s about time!” I hear some of you say) you can now set a contact’s Next Action with a time. 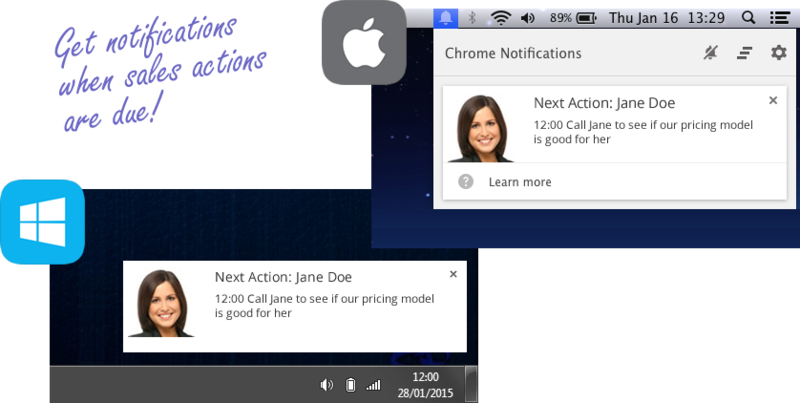 What’s more, we’ll send you a desktop notification at the specified time as an additional prompt! Note: We advise you to only use “Date & time” when necessary. 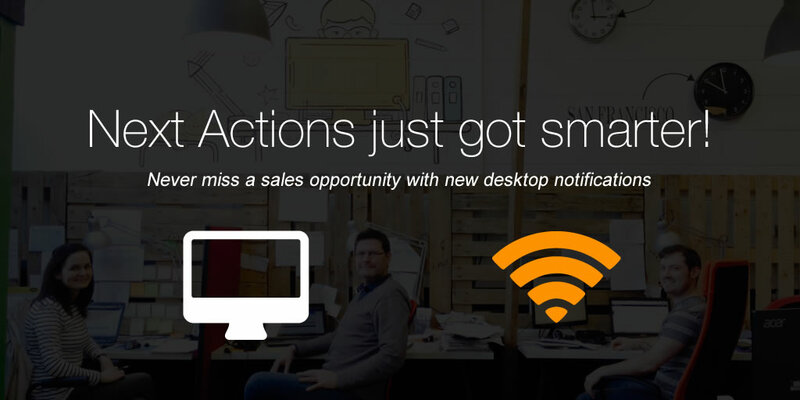 We don’t want your desktop getting cluttered with notifications. Or having your Action Stream become too admin-heavy. Check out our short video guide below to see the notifications in action. In addition, we’ve added natural language typing to the Next Action area, meaning as you type we’ll automatically detect terms referring to a date or time! Call Jane tomorrow / in 2 days / 2 weeks etc. So when you are just after completing an existing Action you can simply type as you think, hit Enter and we’ll do the rest! See full list of natural language commands below and become a Pro! While getting reminders (notifications) is the reason we added time in the Next Action, there’s also a few other advantages. Now when you subscribe to your calendar feed we display the Next Actions in your preferred calendar at the specified time! This also goes for pushing a Next Action to gCal or iCal. To make sure you get desktop notifications you need to install our Chrome Lead Clipper extension. Once installed, when a Next Action falls due a popup will appear on screen to remind you.